Oprah has an innate talent for seeking out people who have tapped into some aspect of the meaning of life and she helps them share it with us. The end result is this wonderful collection of wisdom of the ages that we all can use!. A few of these episodes I listen to over and over again. I credit the one with Michael Singer for helping me get over my fear of flying! Pastor John Gray discusses his belief that every person was created on purpose and with a purpose. Pastor Gray's unique preaching blend of heart and humor has drawn thousands to hear his sermons since he became a pastor at the age of 21. Since then he has toured in a play with Grammy-winning gospel artist Kirk Franklin, worked with megachurch Pastor Joel Osteen and appeared on TV’s “Sister, Sister” and “House of Payne.” Pastor Gray currently stars in OWN’s “The Book of John Gray,” in which he gives viewers intimate access to his church and home life. Pastor Gray discusses his call to the ministry, the faith that carried him through his darkest hours, and what he believes is the true purpose of joy. Pastor Gray is now the senior lead pastor of Relentless Church in Greenville, South Carolina. Oprah continues her conversation with Oscar-winning actress, mother and wife Julia Roberts, who shares the most daring thing she's ever done, the top quality she taught her children and when she feels the most vulnerable. Julia opens up about her private life, including the truth about her 16-year marriage and how tabloids affect her family. She talks about a negative Instagram experience and what she believes are the neurological effects of social media. Julia reveals the surprise her husband, cinematographer Danny Moder, orchestrated for her 50th birthday. Julia explains why she's living a dream starring in her new Amazon series, "Homecoming," based on the psychological thriller podcast of the same name, and starring in the movie "Ben Is Back," co-starring Oscar-nominated actor Lucas Hedges. Julia also opens up about her spiritual practice, the lesson that took her the longest to learn and what she's most grateful for. Part 2 of 2. Oprah talks with icon, legend and survivor Tina Turner about her new book, "Tina Turner: My Love Story," and the upcoming Broadway musical based on her life, "Tina: The Tina Turner Musical." In this two-part podcast, Tina reveals that she has privately suffered several life-threatening illnesses over the past five years. She explains how the health scares caused her to look back and reflect on her six-decade career, and how her faith in Buddhism and the love of her life, husband Erwin Bach, helped her through these difficult times. Tinaalso opens up about her explosive marriage to the late Ike Turner, her strained relationship with her mother and the devastating suicide of her eldest son, Craig. Part 1 of 2. New York Times best-selling author, ordained minister and licensed psychologist Dr. Robin Smith explains how she overcame a series of personal setbacks and a condition she describes as "emotional anorexia." As a best-selling author, a regularly featured expert on “The Oprah Winfrey Show” and host of her own national radio show, Dr. Robin appeared to have it all. However, after a serious car accident left her unable to work, Dr. Robin fell into a financial crisis. Dr. Robin says the situation became so dire she was spiritually drained and felt lost. Dr. Robin discusses how she confronted what she calls a gnawing hunger in her soul and how she finally nourished her spirit back to life. Dr. Robin also talks about her book "Hungry: The Truth About Being Full," in which she teaches readers how to recognize, survive, embrace and conquer what she calls "emotional hunger." In a live appearance for the relaunch of her New York Times number one best-selling book "Women & Money," financial expert Suze Orman inspires a sold-out audience at Harlem's historic Apollo Theater. Suze believes the time has never been more right for women to take control of their finances. In this two-part special, Suze offers practical advice on how to financially protect yourself, spend your money more wisely and build a secure future. She stresses that money itself is not the end goal; it's the means to living a full and more meaningful life. In Part 2, Suze introduces the woman whom she credits with giving her a start and ultimately changing millions of women's lives. Get ready to take notes, because it's time to continue down the path to financial freedom! In a live appearance for the relaunch of her New York Times number one best-selling book "Women & Money," financial expert Suze Orman inspires a sold-out audience at Harlem's historic Apollo Theater. Suze believes the time has never been more right for women to take control of their finances. In this two-part special, Suze will offer practical advice on how to financially protect yourself, spend your money more wisely and build a secure future. She stresses that money itself is not the end goal; it's the means to living a full and more meaningful life. Suze also opens up about her personal journey of growing up on Chicago's South Side, being a waitress until she was 30 and eventually becoming one of the country's most successful financial advisers. Get ready to take notes, because your path to financial freedom starts now! Best-selling author and travel writer Pico Iyer discusses the benefits of bringing stillness into our lives. Pico, a lifelong traveler who has journeyed all over the world, from India to Ethiopia to Cuba to Kathmandu, realized our lives are crowded, chaotic and noisy. He says there has never been a greater need to slow down, tune out and give ourselves permission to be still. Pico walked away from a successful career writing for Time magazine in New York City, where he worked on the 25th floor and had a nice apartment on Park Avenue. "I was making a great living, but that's not the same as making a life," Pico says. In his book "The Art of Stillness: Adventures in Going Nowhere," he writes about the unexpected adventure of staying put and that sitting quietly in a room just might be the ultimate adventure. Pico also reveals how we can take our feelings of home with us wherever we go. With the demands of modern times, it can be difficult to live a life that feels truly balanced. Jon Kabat-Zinn, author and professor emeritus of medicine, says mindfulness can be a vital tool in cutting through the noise of daily life. Jon, the founding executive director of the Center for Mindfulness in Medicine, Health Care, and Society at the University of Massachusetts Medical School, offers an introduction to the practice of mindfulness and reveals how it can be used to help manage stress, anxiety, pain and chronic illness. He also discusses his books, including the best-seller "Wherever You Go, There You Are" and "Coming to Our Senses," and shares a simple test to help you begin cultivating your own mindfulness practice. On the eve of his 50th anniversary gala event, iconic designer and philanthropist Ralph Lauren looks back on the half century of his storied career in the fashion business. At his world-famous The Polo Bar restaurant in the heart of Manhattan, Ralph discusses the future of fashion, managing his international business empire and his thoughts on the status of the American dream. In a rare, personal moment, Ralph talks about being a father, grandfather and husband. Also, Oprah shares how Ralph’s brand has touched her life. Oprah sits down with relationship expert Tracy McMillan, author of "Why You're Not Married...Yet," to talk about the spiritual path of relationships and the self-destructive behaviors that can hold people back from finding meaningful, authentic love. In 2011, Tracy published an article in The Huffington Post titled "Why You're Not Married." The piece went viral, becoming one of the all-time most popular articles on the site. Through her trademark humor, Tracy shares what she believes are the spiritual aspects of love, and explains why our ability to love ourselves is key to loving others. Tracy also opens up about her morning ritual, her favorite way to unwind and what most inspires her. LinkedIn CEO Jeff Weiner discusses his spiritual evolution, what it means to lead with compassion while finding meaning in your work, and his unique approach to running a multi-billion dollar tech company. With nearly 500 million members, LinkedIn operates the world's largest professional networking website. Jeff stresses the importance of being clear about your vision and dreaming big. He explains how implementing core values from the top down has given his company “an incredible competitive advantage.” Jeff also talks about what his life was like before meeting his wife, Lisette, and explains why it was a pivotal moment for him. Women’s rights activist and international humanitarian Zainab Salbi discusses her dedication to helping women in war-torn regions rebuild their lives. An Iraqi-American, Zainab talks about growing up in Saddam Hussein's inner circle, leading a life of privilege and luxury but also one of fear and terror. When she was 19 years old, Zainab left Iraq for an arranged marriage in the United States, which turned out to be abusive, forcing her to leave the marriage and start a new life. She later founded Women for Women International, a grassroots humanitarian and development organization dedicated to serving female survivors of war. Zainab talks about following her calling and what she's learned about humanity through her advocacy work. Pastor, education activist and U.S. Dream Academy founder Wintley Phipps discusses how faith and character can help create a life of value, meaning, purpose and fulfillment. Wintley shares how he believes we can all step into our best lives by adopting and strengthening the eight essential pillars of God's ethos, which he details in his book "Your Best Destiny: Becoming the Person You Were Created to Be." Wintley is a world-famous pastor who has preached on six continents, and a renowned gospel singer who has sung for six U.S. presidents. He was born in Trinidad and Tobago and later raised in Montreal, Canada. As a boy, Wintley imagined escaping his difficult childhood by traveling the world, which he now sees as his first yearning to achieve his God-given destiny. Women's rights pioneer and living legend Gloria Steinem talks to Oprah about her lifetime of travel, her political activism and her book "My Life on the Road." From her early days at the forefront of the women's liberation movement to the founding of the groundbreaking Ms. magazine to receiving the Presidential Medal of Freedom for her decades of activism, Gloria Steinem has lived a full life. She reflects on how the most transformative ideas sometimes come from unexpected people and encounters. Most of all, Gloria reminds us that living in an open, observant and "on the road" state of mind can make a difference in how we understand others, our times and ourselves. Oprah sits down with contemporary thought leader and spiritual teacher Panache Desai, who discusses the transformative power of energy, offering step-by-step advice on how we can change our lives by shifting our energy. Panache reveals what he believes are the keys to overcoming anger, rage, fear and insecurity. The young luminary shares his best advice for how we can achieve what he describes as our "infinite potential," the key to unlocking who we are and how to identify what he refers to as our "soul signature." In this interactive conversation, Panache answers compelling questions from listeners, including how to be thankful for the difficulties in our lives, how to experience deeper personal fulfillment at work, and how to maintain self-care while caring for an ailing loved one. 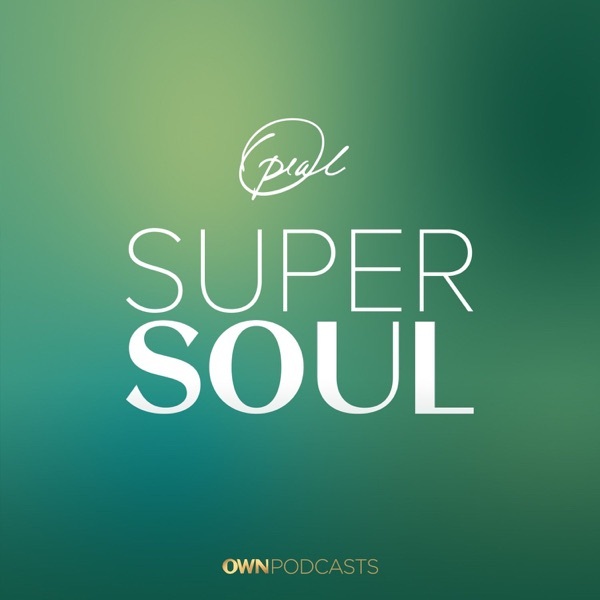 This is one of Oprah's favorite SuperSoul Conversations. New York Times best-selling author, spiritual teacher and intuitive Caroline Myss reveals how to tap into your intuition to discover your life's purpose. Caroline says that if you're alive, you have purpose, but sometimes we can lose clarity as to what our path should be. Caroline details three daily practices to help you hone in on your true purpose, and offers a list of telltale signs that you are fulfilling your divine potential. She explains how you can tap into your gut instinct to help you make the right choices. Caroline also shares what she believes love is, whom she most wants to forgive and what wisdom she's gained with age. New York Times best-selling author Eckhart Tolle returns for his second SuperSoul Conversation. Eckhart gives guidance on how to live in the present moment and shares tips for improving your own spiritual practices. Oprah and Eckhart discuss their groundbreaking “A New Earth” webcast, and Eckhart’s remarkable journey to true consciousness. Eckhart also explains how to avoid becoming a victim in your own mind and how to break free from stress. We've all been there: You have a strange or unpleasant encounter with someone, and you keep replaying it in your head all day long. You wonder what you did to offend this person, and you invent a story about why he or she mistreated you. In her New York Times best-selling book "Rising Strong," research professor and social scientist Brené Brown describes three phases everyone goes through in these moments: the reckoning, the rumble and the revolution. To create a true revolution in your life, Brené says, "You first must come to terms with the false stories you tell yourself. These erroneous tales can be quite dangerous and hold you back from your higher purpose." Here, Oprah sits down for a conversation with Brené, who has inspired millions through her insights on courage, vulnerability, shame and worthiness. This is a special preview of a brand new podcast, “Oprah’s Master Class: The Podcast.” To subscribe now and listen for free, go to applepodcasts.com/oprahsmasterclass. Gary Zukav is a spiritual pioneer, a master teacher and the author of four consecutive New York Times best sellers, including the internationally acclaimed “The Seat of the Soul.” Gary explains how we can find more meaning and purpose in our lives, sharing three ways everyone can tap into their own authentic power. Gary believes owning your intentions will help lift your soul, and that what you put out into the world directly relates to what you get back. It is one of the passages in “The Seat of the Soul” that has resonated most with Oprah and is the principle that guides every part of her life. Gary and his spiritual partner Linda Francis co-founded The Seat of the Soul Institute. Gary’s books have sold more than six million copies and been translated into 32 languages. Contemporary theologian and author Father Richard Rohr discusses how we can reconnect to our true self by overcoming the many ways in which our ego blocks our path. A Franciscan priest for more than 40 years and founder of the Center for Action and Contemplation in Albuquerque, New Mexico, Father Richard has firsthand understanding of how silence and meditation, deeper spiritual intuition and the inherent experience of love can lead to transformational discoveries within oneself. According to Father Richard, within each of us lies the true self and the false self. The true self, he says, is what religion often calls the soul—your eternal essence. The false self is the persona you create for yourself. Father Richard believes your goal in life is to find and manifest your true self. New York Times best-selling author and food expert Michael Pollan discusses our evolving relationship with food, what it means to eat with a fuller consciousness and how having a heightened awareness of the food that goes into our bodies can improve our physical and spiritual well-being. Michael says that food is an important link to other people, from those we dine with to those who produce what we eat. In light of that connection, Michael says mealtime is an opportunity to express what we believe in and learn about others' values as well. He says his awakening about the deeper meaning of food came about in the garden, a place he says has taught him many life lessons. Michael was named one of Newsweek magazine's Top 10 "New Thought Leaders" and Time magazine's "100 Most Influential People in the World." Author of the New York Times bestselling book “Broken Open,” Elizabeth Lesser shares how she likes to unwind, make each day matter and learn from the challenges life puts in front of her. Elizabeth explains how she used what she calls the healing power of love to “clear up” relationships in her life and why she believes we should never wait to have life-changing conversations with those we love. Since the publication of “Broken Open,” Elizabeth has been through many tough times, including the return of her younger sister's lymphoma and later death. Elizabeth reveals what she would write if her book had an epilogue. Elizabeth is the co-founder of the world-famous Omega Institute. Based in the Hudson Valley area of New York, the institute is recognized as a pioneer in holistic studies. The late Wayne Dyer, known as the “Father of Motivation,” discusses his book “Wishes Fulfilled.” In his interview with Oprah, Wayne speaks candidly about his battle with leukemia and his decision to seek controversial treatment. Wayne explains why he believes we all have the ability to manifest anything we want into our lives, and why he feels the art of manifestation is different from the law of attraction. Wayne also shares his definition of God, what he believes happens after death and what he knows for sure. Oprah and Wayne had an ongoing spiritual conversation for more than 30 years before he passed away in 2015. Oprah continues her conversation with Maria Shriver as the journalist, producer and author shares more from her number one New York Times best-selling book "I've Been Thinking...: Reflections, Prayers, and Meditations for a Meaningful Life." Maria explains why she chooses to "see the good" and what it means to reclaim your personal power. "Lately," she says, "I've been choosing to widen my gaze beyond the daily news I consume and seek out the good -- the light, the love and the truth -- that's shining through the cracks." Oprah also asks the former first lady of California whether she will ever run for political office. Maria Shriver, the Peabody- and Emmy-award winning journalist, producer and best-selling author, sits down with Oprah to share inspiring quotations, prayers and reflections featured in her number one New York Times best-selling book "I've Been Thinking...: Reflections, Prayers, and Meditations for a Meaningful Life." Oprah and Maria discuss their nearly 40-year friendship and the lessons they both learned from Maria's mother, Eunice Kennedy Shriver. Maria looks back on the personal challenges she's experienced, including how she found the strength to navigate her mother's death and the grief that came afterward. Maria speaks candidly about growing up as a member of the powerful Kennedy family, and opens up about seeking her own passion and purpose beyond the legacy of her famous forebears. Maria is the founder of the Women's Alzheimer's Movement, a nonprofit committed to researching why women are disproportionately affected by Alzheimer's disease and, in so doing, finding a cure. Oprah’s conversation with superstar quarterback of the New England Patriots, Tom Brady, continues. After nearly two decades in the NFL, Tom explains to Oprah what he still wants to accomplish and why “life after football” may have to wait just a little bit longer. Tom’s supermodel wife Gisele Bündchen stops by to support her husband as he talks about parenting, marriage and his childhood. Tom also shares how he and his team chose to address the recent trend of NFL players taking a knee during the National Anthem. Tom also reveals how he found resilience after the headline-grabbing “Deflategate” controversy. Tom also discusses his approach to mind, body and spiritual balance. Oprah asks Tom to end their conversation by reading an emotional Facebook message that he recently posted representing his beliefs. In a rare interview, the superstar of the New England Patriots, Tom Brady, often called “the greatest quarterback of all-time,” reveals what he believes is the key to his longevity and success. Forty-year-old Brady discusses his #1 New York Times bestselling book “The TB 12 Method” and shares his insights into the spiritual side of football. Tom says, "Spirituality is my deepest purpose. I want to know the whys of life and I want to know why we're here and where we're going." Anthony Ray Hinton's memoir, "The Sun Does Shine," the latest selection for Oprah's Book Club, chronicles his ability to endure, survive and thrive. Oprah sits down with Anthony to talk about his transformative, gripping and emotional story of faith, forgiveness and redemption. Oprah says, "I've been listening to people's stories for most of my career, since I was 19 years old, and this is one of the most incredible stories I've ever heard." In 1985, 29-year-old Anthony was convicted of the brutal murders of two fast food workers in Birmingham, Alabama. Despite no eyewitnesses, no evidence against him and a solid alibi, he was found guilty and sentenced to death. For 30 years, he suffered in isolation and darkness on death row, serving time for crimes he did not commit. Somehow, Anthony found a way to hold on to hope, remain positive and inspire his fellow inmates. Oprah’s conversation with marathon swimming champion and female warrior Diana Nyad continues. Diana captivated the world when, on her fifth and final attempt, she became the first person to swim from Cuba to Florida, without a shark cage. Diana explains why it was important for her to dream big, achieve the impossible and find joy in the face of skepticism. While experts, friends and family said it couldn’t be done, Diana's iron-will would not be swayed. When faced with unending obstacles and excruciating pain, her spirit would not be defeated. More than just a mantra for Diana, "find a way" is a prescription for fulfilling dreams and uplifting the spirit. Find out why Diana says the near-impossible swim elevated her sense of presence and mindfulness. At 64, marathon swimming champion Diana Nyad inspired the world by becoming the first person to swim 110 miles from Cuba to Florida without a shark cage. Proving the human spirit is capable of triumphing over extreme adversity, Diana explains why she decided to take on the quest and shares why the swim was about far more than breaking records. She also reveals her empowering three-word mantra, and shares how “The Wizard of Oz,” Stephen Hawking and the Taj Mahal helped her through the toughest times in the ocean. Author of the international phenomenon “Simple Abundance,” Sarah Ban Breathnach opens up about the spiritual lessons she learned from earning a multimillion-dollar fortune and eventually losing it all. “Simple Abundance” is a collection of comforting, practical and simple essays written for women who want to live their most authentic lives. The 1995 book became a runaway hit: It was translated into 30 languages, sold more than seven million copies and stayed on the New York Times best-seller list for two years. The book’s success made Sarah a multi-millionaire but the wealth didn't last, and a little more than a decade later, Sarah found herself alone on her sister's doorstep with nothing but a single suitcase and her beloved cat. In her memoir, “Peace and Plenty,” Sarah shares the story of her rapid rise and fall, the truths she discovered about herself, and her journey back to health and happiness. Does this sound like you? After years working at the same job, you realize you've just been going through the motions for as long as you can remember. Wes Moore, a war veteran, entrepreneur, Rhodes Scholar and New York Times best-selling author, believes we can all discover and pursue our life’s purpose. “If your job no longer brings you joy, there's an important question you need to ask yourself: ‘What is your real work and who will you fight for?’” In his book “The Work,” Wes, a former combat officer in Afghanistan, a White House Fellow and a Wall Street banker, discusses his journey of self-discovery, which led him to walk away from financial success to create a more meaningful life. Oprah continues her conversation with Dr. Phil, who shares the principles of his spiritual foundation and how they shifted when he became a parent. The TV host and author opens up about a recent time when his faith was tested, and explains when he most leans on his relationship with God. He recounts how he practices what he calls the "continuity of life" and how it keeps him connected to his past. Dr. Phil reveals who counsels him when he has a problem, and he shares what he believes are the keys to a successful, full and contented life. He also explains how he thinks our fractured, divided country can come together and heal. Psychologist, TV host and author Dr. Phil McGraw sits down with Oprah to share personal stories from his childhood that he's never before spoken about publicly. He talks about growing up with an alcoholic father and the spiritual lessons he learned from that experience, recounting a vivid, life-changing dream he had about his father after he passed away. Dr. Phil also looks back on his 16 years in television as host of "Dr. Phil" and shares the core lessons he's learned from his guests about accountability, responsibility and forgiveness. Dr. Phil tells Oprah what he loves about doing the show every day and explains why his wife, Robin, has never missed sitting in the audience for one of his shows. Plus, Oprah shares one of her favorite Dr. Phil aha! moments. Clinical psychologist, parenting expert, and “New York Times” bestselling author Dr. Shefali Tsabary shares her eye-opening ideas on raising happier, more conscious children. Dr. Shefali believes that traditional methods of parenting and disciplining are broken, and that if done consciously, the parenting journey "holds the potential to be a spiritually regenerative experience for both parent and child." Dr. Shefali also discusses her groundbreaking book “The Conscious Parent,” explaining how to take a hands-on, fully present approach to parenting that will help any child thrive. Best-selling author Marianne Williamson talks about the 20th anniversary of her groundbreaking book "A Return to Love." A global phenomenon, the book went on to sell more than 1.5 million copies in the United States and has been published in 23 different languages. The New York Times best-selling spiritual guide explores how love is the key to inner peace. In the book, Marianne writes that our deepest fear is not that we are inadequate; it's that we are powerful beyond measure. It's a passage that remains one of Oprah's favorites. Marianne explains why we fear our light more than our darkness and how everyone has a built-in platform to connect with others. She also shares how living in the present, without fear or resentment, can bring you closer to inner peace. Former professional basketball player Jay Williams opens up to Oprah about his near-fatal, career-ending motorcycle crash, his regrets and how he's learned to fulfill his destiny despite those who say he threw it all away. Jay was poised to become one of the biggest superstars in the NBA until his devastating accident brought it all to a heartbreaking halt. After Jay's big mistake cost him his career, his dreams and nearly his life, he began to refocus his energies on overcoming not just the physical challenges of his injuries but also the spiritual and mental hurdles he faced in the aftermath. Jay explains why he says that the worst decision he ever made has turned out to be the best thing that ever happened to him. "I was lost. Basketball had defined me. My accident had defined me. And I had no idea what I wanted to do," Jay tells Oprah. "I don't think it was until later, a couple of years later, until I started going to counseling, started to try to go to church. I put my faith into something bigger." Oprah sits down with Timothy Shriver, the impassioned chairman of the Special Olympics and a member of the prominent Kennedy family, to talk about some of the spiritual lessons he's learned from the athletes, how courage and grit are fundamental to success, and why vulnerability is a virtue that everyone can nourish. The son of 1972 Democratic vice presidential candidate Sargent Shriver and Eunice Kennedy Shriver, founder of the Special Olympics in 1968, Timothy grew up among some of the most powerful public and political figures in American history. Yet, he says, it was his Aunt Rose Marie "Rosemary" Kennedy, born with intellectual disabilities, who taught him that self-worth isn't defined by accomplishments. Timothy also discusses his memoir, "Fully Alive: Discovering What Matters Most," in which he shares the story of the remarkable teachers and inspiring way of life he discovered during his search for how to make a difference in the world. Madonna Badger, who lost her three children and her parents in a devastating Christmas Day house fire, opens up to Oprah about how she found the strength and courage to live after the unthinkable tragedy. Madonna discusses the ever-present spiritual connection she feels to her children, her quest for answers and the legacy of love she knows will endure forever. She talks about how she puts one foot in front of the other in moments of grief. Madonna also shares a life-changing definition of grief and reveals three things that have helped her cope. Her journey to the light from the depths of despair will touch anyone's life and remind us all what it means to be grateful for what we have. Tim Storey: How Do You Turn a Setback into a Comeback? Oprah sits down with Tim Storey, the acclaimed author, motivational speaker, ordained minister and life adviser, to talk about finding deeper meaning in your life and how to transform a setback into a comeback at any age. Tim has helped guide people, including many celebrities, through some of life's most difficult circumstances, including cancer, drug addiction, depression and divorce. He reveals how to move forward when your situation seems insurmountable. Tim also discusses the power of manifesting dreams and how so many of us have the desire to live our dreams yet haven't learned the strategies for doing so. What is Buddhism? How could it help your daily life? Is it a religion? And what does the statue we always see really represent? Jack Kornfield, one of the leading Buddhist teachers in America, introduces the basic principles behind Buddhism, discusses the steps involved in mindful living and offers practical tips on how to grow your own spiritual practice. His teachings begin with the idea that people are born whole and good, and that later, they can choose to turn back to their innate goodness. Jack also shares his best advice on how to stay in the now, quiet your thoughts and lead a truly awakened life. Jack trained as a Buddhist monk in the monasteries of Thailand, India and Burma (now Myanmar). He has taught meditation internationally for decades and is one of the key people to introduce Buddhist mindfulness practice to the West. His best-selling books, including "The Wise Heart," "Living Dharma" and "No Time Like the Present," have been translated into 20 languages. Oprah sits down with Carole Bayer Sager, the Grammy-, Golden Globe- and Oscar-winning singer/songwriter and painter, to discuss her legendary career. Carole shares the stories behind some of her biggest songs, including "That's What Friends Are For" and "The Prayer." One of the most prolific writers in pop history, Carole has worked with numerous legendary performers, such as Barbra Streisand, Whitney Houston, Celine Dion and Stevie Wonder. In her memoir, "They're Playing Our Song," Carole reflects on her spiritual journey both in and out of the recording studio, including her decadelong marriage to, and painful divorce from, composer and singer Burt Bacharach. She opens up about how her mother's harsh criticism of her weight led to lifelong emotional insecurity. Nevertheless, Carole says she found healing in her songwriting and believes that her life's purpose has always been to touch others' hearts through her work and to help them feel connected and less alone. The Rev. Ed Bacon: Do You Recognize Grace? Oprah sits down with the Rev. Ed Bacon, a retired priest from the Episcopal Diocese of Los Angeles and the author of the book "8 Habits of Love." Saying that we often obscure our ability to identify grace in our lives, the Rev. Bacon reveals how to recognize grace in your life, especially during the toughest times. He tells Oprah that people operate from a place of either fear or love when it comes to their relationship with God, and explains why he believes there is a bit of God in all of us and why we should embrace it. Plus, the Rev. Bacon offers a surprising and enlightening answer to the question of whether religion and spirituality can work together. At Harlem's famed Apollo Theater, Oprah sits down for the first time with Yara Shahidi, the teenage star of ABC's hit comedy "Black-ish" and its spinoff, "Grown-ish." Just a few days from her 18th birthday, Yara talks about her generation's view on politics, social media and history. She discusses her family's involvement in the civil rights movement during the '60s and why that era fascinates her. Yara also shares behind-the-scenes stories and insights from the sets of "Black-ish" and "Grown-ish," and opens up about her plans to juggle her career and her impending Harvard University education. Oprah says, "Every little thing [she] says sounds like a tweetable moment." In this special edition of "Oprah's SuperSoul Conversations," you'll hear Oprah and Yara's full interview, featuring more than 15 minutes of bonus content not included in Part 2 of the OWN special "Oprah at the Apollo." At the famed Apollo Theater in New York City, Oprah sits down with Lin-Manuel Miranda, the genius behind the Tony-, Grammy- and Pulitzer Prize-winning musical "Hamilton." Lin-Manuel shares behind-the-scenes stories and insights into how he wrote and created the show that became a Broadway phenomenon. He explains how legacy plays a huge role in the lives of both Alexander Hamilton and Aaron Burr, and reveals what he believes will be the greatest legacy of the show. Lin-Manuel provides an update on his newborn son, Francisco, and news from his beloved Puerto Rico, which was devastated by hurricanes Irma and Maria. Finally, Lin-Manuel opens up about how "creative loneliness" during his childhood in New York City helped shape his career. In this special edition of "Oprah's SuperSoul Conversations," you'll hear Oprah and Lin-Manuel's full interview, featuring more than 15 minutes of bonus content not included in Part 2 of the OWN special "Oprah at the Apollo." In his interview with Oprah at the famed Apollo Theater in New York City, Trevor Noah, the late-night comedy host and best-selling author of "Born a Crime," discusses his childhood in South Africa, his mother who risked her life to raise him, and his unlikely path to becoming the host of "The Daily Show." Trevor shares inspiring stories about overcoming extreme poverty under apartheid. Oprah tells Trevor, "You're the only person I've interviewed, that I can remember, who's a famous person, who grew up poorer than I did." Trevor says, "We laughed. We enjoyed ourselves. We had something that sometimes you don't have when you have too much, and that's the ability to focus on the human beings around you." Trevor also explains the "black tax" that he writes about in his book. He tells Oprah, "It's one of the hardest conversations to have with people." In this special edition of "Oprah's SuperSoul Conversations," you'll hear Oprah and Trevor's full interview, featuring more than 15 minutes of bonus content not included in Part 1 of the OWN special "Oprah at the Apollo." Jimmy Kimmel: What Do You Stand For? Oprah speaks to joke-teller-turned-truth-teller Jimmy Kimmel about the watershed year that changed his personal life and public image. Jimmy reflects on hosting the Oscars, losing his mentor Don Rickles, turning 50 and speaking out on gun control. He also discusses his emotional, tear-filled monologue about his son Billy’s rare congenital heart defect. Speaking from his heart and soul, Jimmy explains how the past year has made him a more spiritually connected person. “I’ve been praying a lot more, that’s for sure,” Jimmy says. He also speaks about the mass shooting in his hometown Las Vegas and the ways he finds peace, and shares an update on Billy. After Oprah and Salma Hayek Pinault's conversation at the Apollo Theater in New York City, Harvey Weinstein issued a statement through his spokesperson in which he "deeply apologizes for any pain [Salma] has suffered as a result of his behavior or comments." In this supplemental podcast, Oprah and Salma pick up their conversation as Salma reacts to the statement and adds additional insight to the lessons she's learned about sexual predators. Salma also shares her thoughts on the importance of gratitude, how she feels about aging and the one lesson that took her the longest to learn. Salma says, "A deep sense of gratitude can be such a beautiful, powerful, euphoric sensation." In her interview with Oprah at Harlem's famed Apollo Theater, activist, producer and Oscar-nominated actress Salma Hayek Pinault reveals why she published her personal essay in The New York Times titled "Harvey Weinstein Is My Monster Too." Salma opens up about the emotional abuse she suffered during the making of her Oscar-winning film, "Frida,"and other sexual harassment she has endured during her life. Salma also discusses her spiritual approach to aging, her commitment of 20-plus years to fight for women's rights, and her struggle with depression. Salma says, "The mystery of life, to me, is the relationship with you and you. As long as you need others to feel comfortable, you will always suffer from anxiety. You are alone in life, and it's a beautiful place to be if you make peace with yourself." In this special-edition podcast, you'll hear Oprah and Salma's full interview, featuring more than 15 minutes of bonus content not included in Part 1 of the OWN special "Oprah at the Apollo." In an interview at Harlem's famed Apollo Theater, Stephen Colbert, host of "The Late Show with Stephen Colbert" and best-selling author, discusses his nightly talk show, the times we live in and his deep-rooted Catholic faith. Stephen opens up about the nervousness he felt in taking David Letterman's old time slot and how his intention for the show guided it to the top of the ratings. Stephen also reveals how he keeps his ego in check, why love is the most important thing we have, and what he thinks is the "last, best hope of mankind." In this special edition of "Oprah's SuperSoul Conversations," you'll hear Oprah and Stephen's full interview, featuring more than 15 minutes of bonus content not included in Part 2 of the OWN special "Oprah at the Apollo." In another special edition of "Oprah's SuperSoul Conversations," Oprah continues her one-on-one interviews at Harlem's world-famous Apollo Theater. Stephen Colbert, the best-selling author and host of "The Late Show with Stephen Colbert," discusses the nightly intention of his show and his deeply rooted Catholic faith. Broadway genius Lin-Manuel Miranda opens up about his newborn baby, his Pulitzer Prize-winning show, "Hamilton," and the state of his beloved Puerto Rico. "Black-ish" and "Grown-ish" star Yara Shahidi explains why she believes her generation is politically aware and helping to reshape the world we live in. Plus, we share a few laughs with Jessica Williams and Phoebe Robinson, from the podcast "2 Dope Queens," who helped welcome our audience at the Apollo. For the first time, Oprah sits down with Jordan Peele, the funnyman-turned-screenwriter/producer/director, for a one-on-one conversation at the world-famous Apollo Theater in New York City. Jordan shares the stories behind his groundbreaking film "Get Out," which was nominated for four Oscars and has sparked a national conversation about race, becoming one of those rare films that has had a truly profound impact on our culture. Jordan is the first African-American filmmaker to be nominated for the Oscar trifecta of Best Original Screenplay, Best Director and Best Motion Picture. Jordan says he spent seven years conceiving, crafting and writing "Get Out," adding, "It was the idea for designing my favorite movie that I'd ever seen." Jordan also reveals how he's been able to meet this moment, receive praise and keep his ego in check. In this special-edition podcast, you'll hear Oprah and Jordan's full interview, featuring more than 15 minutes of bonus content not included in Part 1 of the OWN special "Oprah at the Apollo." In this special edition of "SuperSoul Conversations," Oprah welcomes Jordan Peele, Salma Hayek Pinault and Trevor Noah to the legendary Apollo Theater in New York City for one-on-one conversations. Writer, director and producer Jordan Peele discusses his Oscar-nominated film, "Get Out," which sparked a national dialogue on race. Oscar-nominated actress, film producer and co-founder of the Time's Up movement Salma Hayek Pinault shares her personal experiences with sexual assault and emotional abuse. Comedian, best-selling author and host of "The Daily Show" Trevor Noah recounts the challenges of growing up as a mixed-race child in apartheid-era South Africa. Carl Lentz is a lead pastor at Hillsong Church in New York City and is the dynamic force behind one of the most talked-about new congregations in American Christianity. His come-as-you-are approach to faith appeals to a new generation of spiritual seekers, including pop singers, young Hollywood and NBA players. Pastor Lentz says, "Our soul is who we are without the InstaFilter and without the hair and makeup." Oprah sits down with Reese Witherspoon and Mindy Kaling, her co-stars from the film "A Wrinkle in Time," for a lively conversation about ambition, guardian angels, learning to say no, and the pressures women face in today's culture. Reese and Mindy discuss the hardest decisions they had to make in order to fulfill their destinies. Oprah says, "I'm so excited to have a conversation with such beautiful, innovative, powerful women." Directed by pioneer filmmaker Ava DuVernay, "A Wrinkle in Time" is adapted from Madeleine L'Engle's classic 1962 novel of the same name. The movie is about a young girl, Meg Murry, played by newcomer Storm Reid, who hops through time to rescue her father from an evil, universe-threatening force. Ava describes the story as a tapestry of "spirituality and self-empowerment." Disney's "A Wrinkle in Time" has its premiere in movie theaters on March 9, 2018. In a rare interview at his home on the Hawaiian island of Maui, cultural icon Ram Dass sits down with Oprah to discuss his role as a global spiritual teacher. Born in 1931 to a wealthy family outside of Boston, Richard Alpert was the star of his family. By age 27, he was an assistant professor at Harvard University, with a corner office. When another professor, Dr. Timothy Leary, moved into the office next door in 1959, Dr. Richard Alpert began the journey to become the man we know today as Ram Dass. Learn more about the psychedelic drug experiment that got them both fired, and the Indian guru who changed Ram's life forever. Janet Mock, the transgender advocate, television host and New York Times best-selling author, discusses her powerful journey, the importance of speaking your truth, and becoming the person you know you were always meant to be. Janet offers insight into not only her transgender experience but also the importance of creating a vision for what is possible, and shows us how to see and accept one another through love. Janet's first memoir, "Redefining Realness," details her bold and inspiring perspective on being young, multicultural and transgender in America. Janet says her journey is similar to that of many people: "I think that we're all searching for the truth. I was constantly, as a person, going through this society trying to figure out who I was in relation to what people were telling me I should be. And so, for me, 'Redefining Realness' was about tapping into my most authentic self. Who am I to me?" After losing both her legs at age 19 as a result of bacterial meningitis, Amy Purdy survived to lead a life of extraordinary accomplishments. She embodies inner strength as she continues to overcome obstacles and serve as a role model for those who have faced their own challenges. Amy is a Paralympic bronze medalist in snowboarding, a finalist on "Dancing with the Stars". Her inspiring conversation with Oprah is about rising above your circumstances, living with spiritual courage and the power of visualizing your dreams. They also discuss Amy's memoir, "On My Own Two Feet: From Losing My Legs to Learning the Dance of Life." From "A Beautiful Mind" to "Empire," Brian Grazer has produced some of the greatest films and television shows of the past 40 years. Time magazine named him one of the 100 most influential people in the world. Brian sits down with Oprah to discuss his book, "A Curious Mind: The Secret to a Bigger Life," in which he writes about how expanding our curiosity should be as much a part of our culture as creativity and innovation. Brian not only attributes his success to curiosity but also says it's his daily spiritual practice. "It does get me into the place of truth within the person I'm connecting with," he tells Oprah. "It's the deepest emotional connection." Plus, Brian reveals how to optimize your curiosity in order to live a more satisfying, connected and soulful life. Religious scholar, psychotherapist and former monk Thomas Moore has dedicated his life to exploring the questions at the heart of theology. Thomas' classic 1992 book, "Care of the Soul," redefined spirituality in the modern age, and now he believes we are facing an exhilarating new phase of our spiritual evolution. Thomas and Oprah talk about ways to bring the soul and spirituality back into your life. While discussing his book "A Religion of One's Own," he explains the difference between the part of us that searches for more and the part of us that finds solace in what we have. His broad message resonates with those who see themselves as spiritual but not necessarily religious. Thomas’ latest book is called “Ageless Soul: An Uplifting Meditation on the Art of Growing Older” in which he describes how to live agelessly, embrace our time in life and find the endless joy nestled inside our soul. Oprah’s heart-to-heart conversation with the late Dr. Maya Angelou continues. Dr. Angelou shares some of her greatest life lessons on aging brilliantly and living with gratitude. She is moved to tears as she recalls the revelation that changed her life forever, and reveals the best piece of advice she ever received. Underneath his over-the-top hair, makeup and outfits, RuPaul Charles believes that at the core “we’re born naked and the rest is drag.” It’s a radical way of interpreting who we are, but whatever we claim as our identity is considered our drag, he says. A pop culture fixture since the early 90s, RuPaul has preached a gospel of self-love and tolerance that has permeated American culture. Now more popular than ever, thanks to the success of his Emmy-award winning competition show “RuPaul’s Drag Race,” RuPaul shares what he believes is the authentic meaning of “identity,” and how we can all see past the stereotypes and labels to discover true connection with those around us. Would you like to expand your wealth and improve your relationship with money? Lynne Twist, author of the groundbreaking book "The Soul of Money," exposes three deep-seated financial myths and explains how letting go of these beliefs can align our money habits with our souls. She explains why our deep-rooted connection to money can be our most unexamined and "wounded" relationship. Lynne says we can even create a spiritual relationship with our finances, transforming our values and ourselves so as to lead a more fulfilling life. Time magazine named Pastor Rob Bell "one of the most influential Christian leaders in the country." Rob's progressive and unique interpretation of the Bible considers new ways of thinking about God, religion and faith. In his book "What We Talk About When We Talk About God," Rob explains why more people are identifying with spirituality over religion, and walks listeners through his three basic principles: "God is with us, God is for us, and God is ahead of us." Paul Williams is the songwriting legend behind hits such as Barbra Streisand's Oscar-winning song, "Evergreen," Kermit the Frog's beloved "Rainbow Connection" and the Carpenters classic "We've Only Just Begun." Paul says that, at the height of his fame, an addiction to alcohol and drugs nearly destroyed him. After hitting rock bottom in a harrowing public meltdown, Paul got sober and started a difficult journey to discovering the true happiness he feels today. Together with author, director and screenwriter Tracey Jackson, Paul has written a book, "Gratitude and Trust," outlining six affirmations they say can help people become better versions of themselves. The co-authors claim that the affirmations work for fear-based habits like perfectionism, overeating, fear of intimacy and even smartphone obsession. Paul says, "When getting help was important enough for me to let go of ego and do it, I began to connect. And that connection, that brought me to life." New York Times bestselling author and weight loss pioneer Geneen Roth was one of the first people to link compulsive eating and perpetual dieting with deeply personal and spiritual issues that go far beyond food, weight and body image. Geneen believes that our relationship to food reveals everything about our lives. She discusses guidelines for mindful eating and the real reasons people binge eat. Geneen also shares her acceptance with losing her life savings to the Bernie Madoff financial scandal, and why it was a positive transformative experience. He’s the creator of some of the most groundbreaking shows in television history. Legendary producer, writer and director Norman Lear talks about changing the landscape of TV, his life as a spiritual seeker and his political activism. Norman shares behind-the-scenes stories from his socially conscious shows “All in the Family,” “The Jeffersons” and “Good Times.” Norman explains why he believes there may be no greater unifying spiritual expression than when we laugh together. He also discusses his documentary film "Norman Lear: Just Another Version of You," and his first-ever book, the memoir "Even This I Get to Experience." Do you want to be happier? Harvard-trained researcher and bestselling author Shawn Achor shares his simple, achievable steps to diminish depression, increase joy, and shift our perspective to be more positive. Shawn brings to life his research on the science of happiness and the techniques of what he calls positive psychology. Born in New York City, Pema Chödrön is one of the first Western women to be fully ordained as a Tibetan Buddhist nun. Pema explains how difficult times can be an opportunity for growth and change if you're willing to embrace the situation and the feelings that come with it. One of the basic Buddhist tenets, Pema says, is that change is constant. "Things are going to keep changing," she says. "If you're invested in security and certainty, then you're not going to feel good a lot of the time." Would you like more fun, love, laughter and adventure in your life? Oscar-nominated actress and best-selling author Mariel Hemingway and her boyfriend, Bobby Williams, a stuntman and extreme athlete, say they have the answers to living a simpler, more vibrant life. In their book, "Running with Nature," Mariel and Bobby show us how to tap into our soul's mission and reconnect with our true selves. Mariel also opens up about her famous family, including her grandfather Ernest Hemingway, and their legacy of addiction, mental illness and suicide. The New York Times best-selling author Cheryl Strayed talks to Oprah about her book "Brave Enough," a collection of her own quotes, which Cheryl describes as a "mini instruction manual for the soul." Cheryl also says the book urges readers toward their own "incredible capacity for love, compassion and forgiveness." Cheryl's best-selling memoir, "Wild," which recounted her spiritual journey hiking the Pacific Crest Trail, was an Oprah's Book Club selection and was adapted into the critically acclaimed film starring Reese Witherspoon. Elizabeth Gilbert, Part 2: What Is a Soul Mate? Oprah's conversation with New York Times best-selling author Elizabeth Gilbert continues. Elizabeth shares what she knows for sure about love, happiness and what it means to be a soul mate. Elizabeth says, "A true soul mate is a mirror, the person who shows you everything that's holding you back, the person who brings you to your own attention." She also opens up about her decision not to have children and its impact on her life spiritually. Elizabeth Gilbert’s 2006 memoir, "Eat, Pray, Love," sparked a global conversation about what it means to fulfill your life's purpose. Elizabeth opens up about the soulful lessons she learned from her yearlong quest around the world. She also discusses how the uncertainty of transformation in our lives is never easy or painless, but is essential to experience. Elizabeth gives practical advice on how to start your own spiritual quest and answer your life’s calling. New York Times columnist, political pundit and bestselling author David Brooks reveals how we can discover and build a stronger, more meaningful moral character and deeper inner life. David shares his personal and well-researched path on the road to “save his own soul.” He takes listeners on a journey through history, sharing examples of people who cultivated their own character with self-sacrifice and honor. David also shares his thoughts on vulnerability, the importance of believing in yourself and gaining strength from those around you. Prolific TV show creator, writer and executive producer Shonda Rhimes reflects on her memoir “Year of Yes.” The force behind the hit shows "Grey's Anatomy," "Scandal" and "How to Get Away with Murder," Shonda explains how saying “yes” for one year allowed her to live a more awakened life. She also shares the one sentence to use when you want to say “no” without feeling rude. Three young, socially aware thought leaders from the next generation of soulful thinkers, Marie Forleo, Mastin Kipp and Gabrielle Bernstein, share their unique perspectives and open up about the life-changing events that began their spiritual journeys. They have developed self-made businesses, written reflective best-sellers and lectured to sold-out crowds about how to enrich your life. Each guest gives three simple ways to enlighten your life today. Oprah's Book: "The Wisdom of Sundays"
In a special edition of "Oprah's SuperSoul Conversations," Oprah presents her latest New York Times number one best-selling book, "The Wisdom of Sundays: Life-Changing Insights from Super Soul Conversations," with an episode filled with Oprah's most memorable aha! moments from "SuperSoul Sunday." It is a soul-stirring hour from an extraordinary group of thought leaders, including Caroline Myss, Gary Zukav, Eckhart Tolle, Sue Monk Kidd, Dr. Michael Bernard Beckwith, Jack Kornfield, Elizabeth Lesser, Sister Joan Chittister, Pastor John Gray, Michael Singer, Tony Robbins, Iyanla Vanzant, Brene Brown, DeVon Franklin, Amy Purdy, Jon Kabat-Zinn, Shonda Rhimes, Russell Simmons, former President Jimmy Carter, Wayne Dyer, Dr. Shefali Tsabary, Adyashanti, Shaka Senghor, Bryan Stevenson, Glennon Doyle, Pastor Wintley Phipps, Janet Mock, Tracy Morgan, Malala Yousafzai and Elie Wiesel. In 1994, iconic actress and author Ali MacGraw left Los Angeles and moved to Santa Fe in order to live her spiritual journey more fully. In a frank conversation, Ali discusses what she's come to know about aging with grace, shares the real-life lessons in love she learned from her marriages to legendary actor Steve McQueen and famed film producer Robert Evans, and opens up about how sobriety allowed her to feel more connected to her soul. Oprah calls this interview one of the most powerful in her career. Author, mentor and criminal justice activist Shaka Senghor turned his life around after spending 19 years in prison and solitary confinement for committing second-degree murder. During his incarceration, an unexpected act of forgiveness led to his spiritual redemption. Shaka discusses the challenges of fixing the soul of a broken prison system that doesn’t focus on rehabilitation and reintegration. During her iconic 60-year Hollywood career, Oscar-winning actress Shirley MacLaine was also a pioneer by being outspoken in her beliefs about spirituality, meditation and reincarnation. Oprah calls Shirley one of her “great spiritual teachers.” This episode is a continuation of the metaphysical conversation Oprah and Shirley have been having together for more than 30 years. It’s the book that Ellen DeGeneres recommended to Oprah. Renowned spiritual teacher and best-selling author don Miguel Ruiz believes there are four agreements that, if applied in your daily life, will bring you freedom, happiness and love. His revered book “The Four Agreements” has been translated into 40 languages, was on The New York Times’ best-seller list for over a decade and has guided millions of readers, including Oprah, to live their most authentic lives. Rainn Wilson: Why Are We Really Here? It’s been twenty years since Mitch wrote about the most impactful life lessons he learned from his former professor, Morrie Schwartz, who was dying from ALS. Mitch chronicled their weekly visits in one of the best-selling memoirs of all time, “Tuesdays with Morrie,” which has been translated in 41 languages. Oprah and Mitch discuss how Morrie’s lessons continue to resonate because of their universal truths about life and happiness. Do you ever feel spiritually exhausted but aren’t sure how to replenish or reconnect to your soul? Multiplatinum-selling singer India.Arie opens up about hitting rock bottom and ignoring the signs that her “soul was sick.” The Grammy winner tells Oprah about the spiritual crisis that caused her to walk away from the music industry for a four-year self-imposed hiatus. Learn how to manifest the life you want with two simple words. Pastor Joel Osteen, one of America’s most influential religious leaders, discusses personal success, the power behind the words we speak and how each of us can make a difference. Oprah says Pastor Osteen changed the way she speaks power into her life. Arianna Huffington: What Will Be Your Spiritual Wake-up Call? Oprah continues her conversation with life coach Iyanla Vanzant, who reveals how she came back from the brink of suicide and survived her daughter’s tragic death. Iyanla explains how she uses the lessons she’s learned throughout her life to help others in crisis. Cutting-edge research and advice on how to move forward after life’s inevitable setbacks, and how to build up your own resilience practically. Applying the lessons she learned after the unexpected death of her beloved husband, Facebook COO Sheryl Sandberg explains how to lean in to those uncomfortable conversations with friends and loved ones after loss.